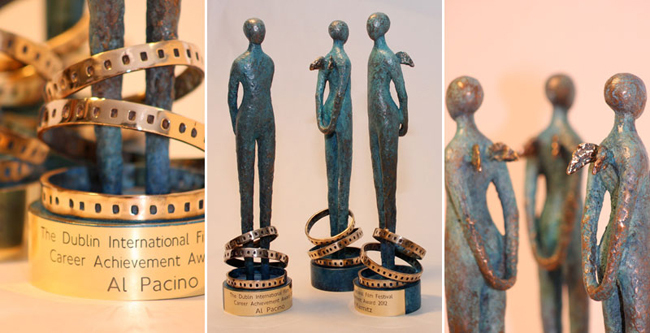 Designed for the Jameson Dublin International Film Festival in 2007. 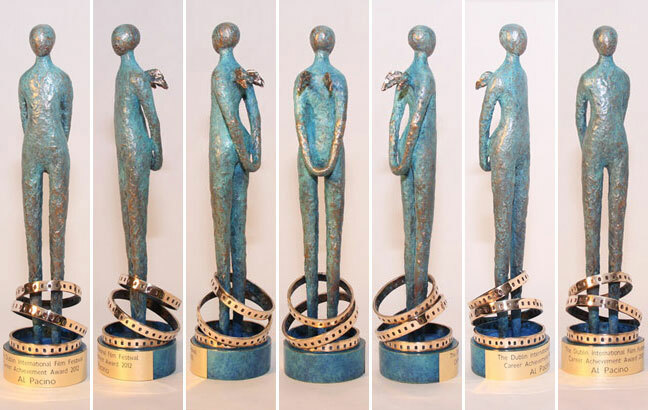 Awarded every year for career achievement. 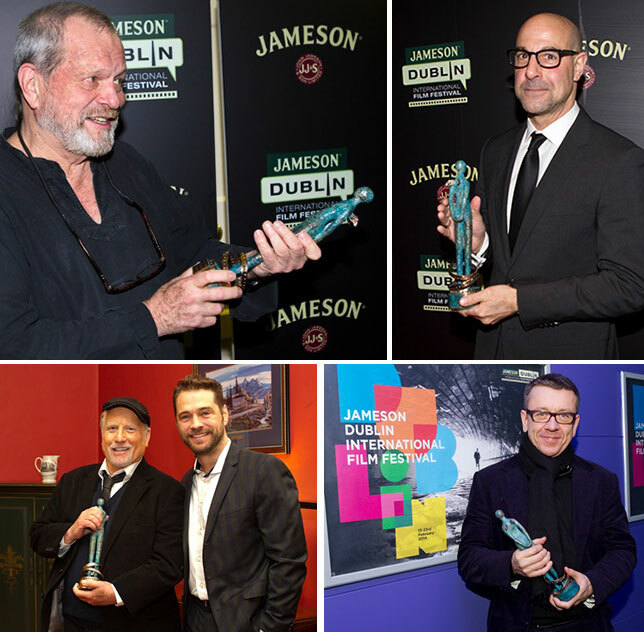 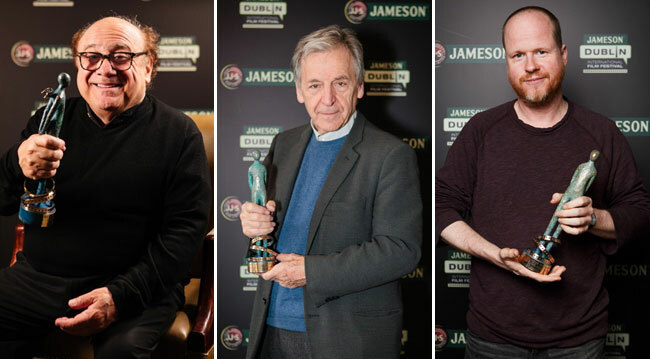 Named after the first dedicated cinema in Ireland, opened in 1909 by James Joyce, the Volta Awards are presented throughout the Jameson Dublin International Film Festival to specially selected individuals, who have made an outstanding contribution to the world of cinema. 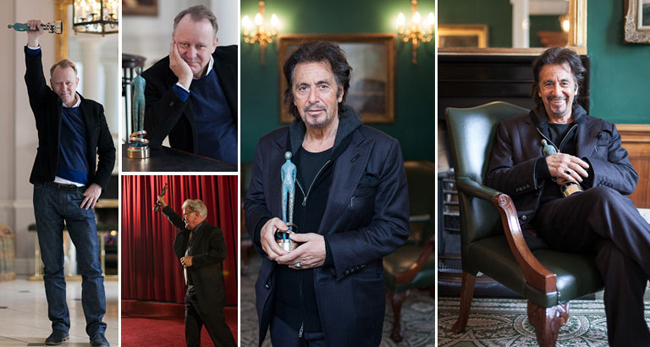 Previous recipients of the award include:Kenneth Branagh, Laurent Cantet, Terry Gilliam, Richard Dreyfuss, Stanley Tucci, Peter Morgan, Ennio Morricone, Danny DeVito, Costa Gavras, Joss Whedon, Tim Roth, Al Pacino, Stellan Skarsgård, Martin Sheen, Kristin Scott Thomas, Ciaran Hinds, Patricia Clarkson (photographs), Daniel Day-Lewis, Gabriel Byrne, Brendan Gleeson, Thierry Fremaux, Paolo Sorrentino, George Morrison, François Ozon, Jeremy Thomas and Kevin Brownlow.